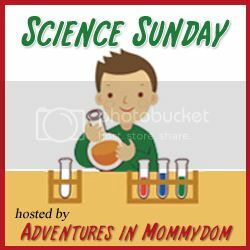 Adventures in Mommydom: Science Sunday: Is this a real animal? On a recent visit to the Mayborne museum we discovered this little guy. It cracked me up to read about him. 1. It is related to the kangaroo, bandicoot, opossum, and wombat. 2. The only marsupial found outside of Australia. 3. Young are carried in the marsupium (pouch) for three months before showing their face to the world. 4. Mate for life and are loyal to their mate. 5. Orthlocks come out at sunset. The Huoco Indians believed the creatures come out to view the dying sun. 6. The orthlock is NOT to be confused with the Jackalope which everyone knows is a fraud! So, we started discussing their opinions, is it a fake, and why? They pretty much all agree it’s obviously a fake because no animal has both fur and feathers. I have to say I think they’re right on that count. I just got back in town late tonight and the post I had drafted featuring lots of people got all messed up and my brain is fried. So I assure you there were many awesome posts this past week, but the hotel I was at last night did not let me get the post all written up because it decided it did not know "what this thing called an internet is." Plus side, I got to go to my first ever homeschool convention and it was a LOT of fun!